The song "Brothers in Arms" is an "elegiac slow burn, of the kind you might expect to close an episode rather than carry its middle section," says Sam Adams. "(Indeed, that’s exactly how it was used in The West Wing’s 'Two Cathedrals,' which found President Jed Bartlet facing storms both literal and metaphorical with a smile on his face.) 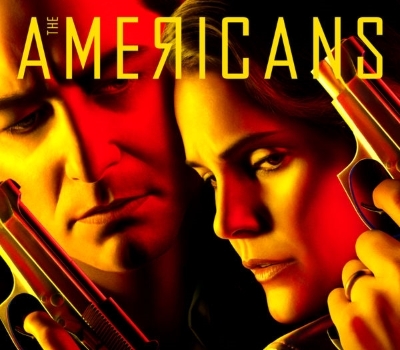 But The Americans’ home stretch was a tribute to the power, and sometimes the frustration, of taking it slow, letting conflicts simmer like the unresolved organ chords and thundering rumbles that fade in on the soundtrack as Philip, Elizabeth, and Paige face what is left of the rest of their lives. Although it was released at a time when the threat of nuclear war between the U.S. and the Soviet Union—as chronicled in Season 4’s 'The Day After'—still seemed acute, 'Brothers in Arms' is steeped in sorrow instead of anxiety, sung from the perspective of an old soldier who’s come to the end of a war he wishes he’d never had to fight." What should Keri Russell do next? How about a Ryan Murphy or Shonda Rhimes show? It's a Top 10 series finale because of how it "thoroughly and almost radically it puts a bow on the series’ central preoccupation: the Jennings marriage"